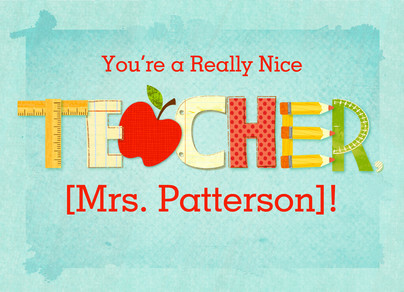 You're a Really Nice TEACHER [Name]! Thanks so much for teaching us - you made each day such fun! Now you're wished a summer that's an extra-happy one!